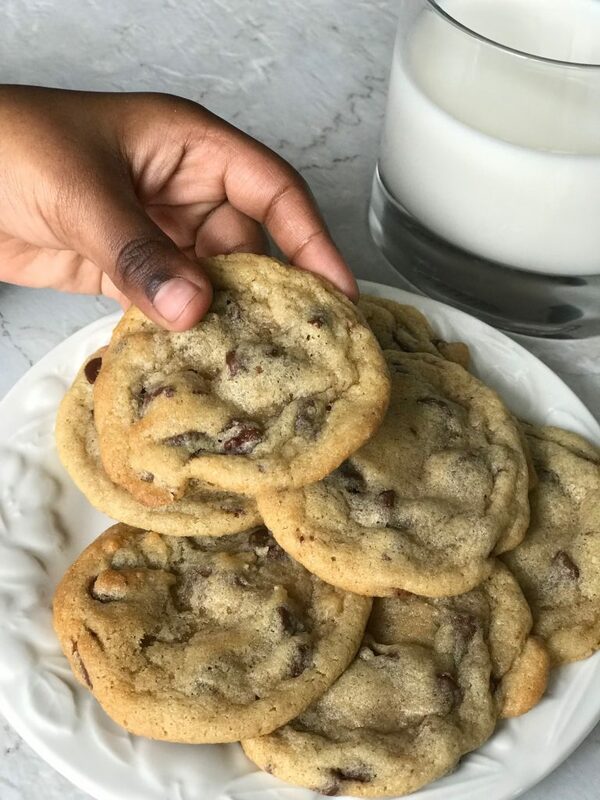 These chocolate chip cookies are crispy on the outside and soft and chewy on the inside. 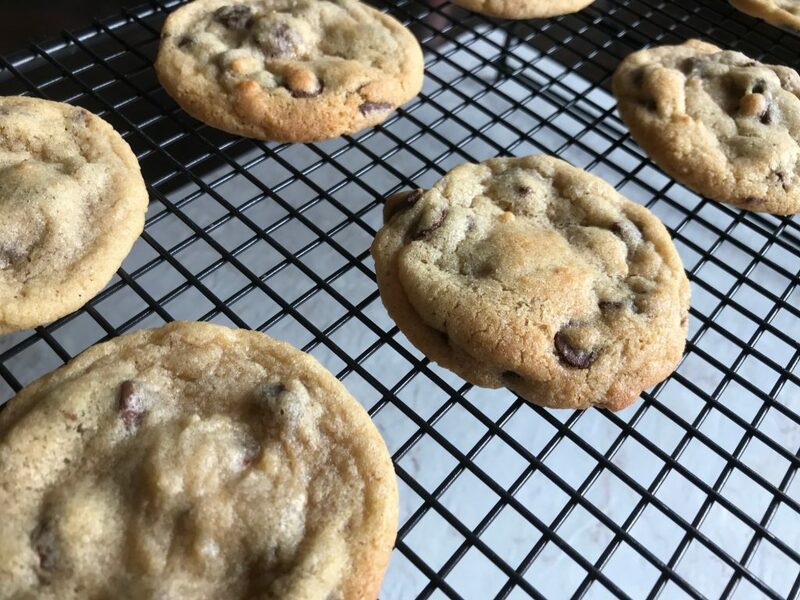 Is there anything more classic than a chocolate chip cookie? It’s everyone’s favourite around here. I think the best thing about this classic is that there are so many different ways to make them. This cookie is our new favourite. We made these cookies the other day after Z had been asking to make cookies. I’m always happy when the kids want to help out in the kitchen. Sure it takes more time and let’s not even talk about all that flour on the counters and floors. It’s worth it all if it develops their love of cooking. I want to ensure that they are able to eventually make things for themselves. To make sure the cookies are all the same size, I always use a cookie scoop. I hate cleaning extra bowls. I know you are supposed to mix the dry ingredients separately but I don’t (gasp!). Once the butter and sugar mixture is combined, I add the dry ingredients on top and just give it a little stir before mixing it all together. Seems to work okay. Beat together the softened butter and the sugars. Once combined, add the egg and vanilla and mix. Add the flour, baking soda and salt and mix until well combined. 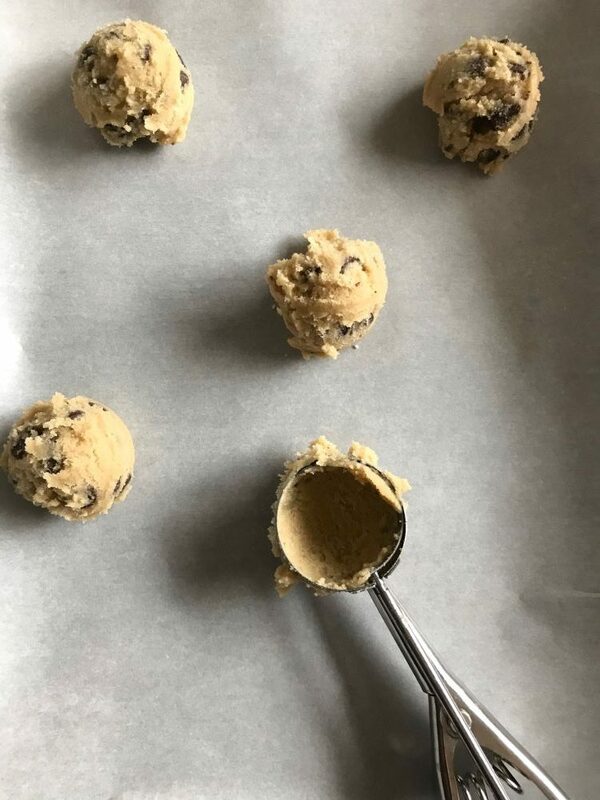 Using a small cookie scoop, place the dough on a parchment lined cookie sheet. Makes 20-24 cookies depending on the size of your cookie scoop. 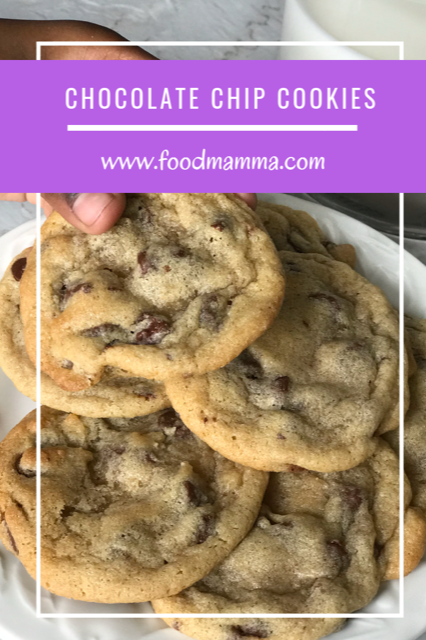 I LOVE chocolate chip cookies and have fun trying out different recipes. Your photos have me drooling for them right now! Yum! Pinning to try this weekend.